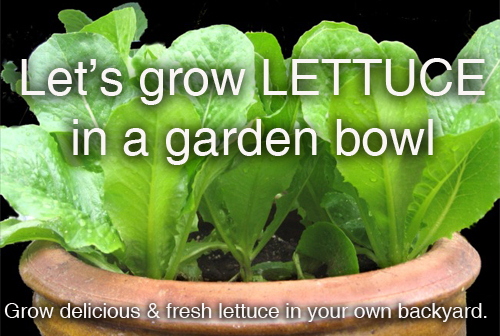 Growing delicious fresh lettuce right in your own backyard garden planters or garden bowls, is easy and fun to do. 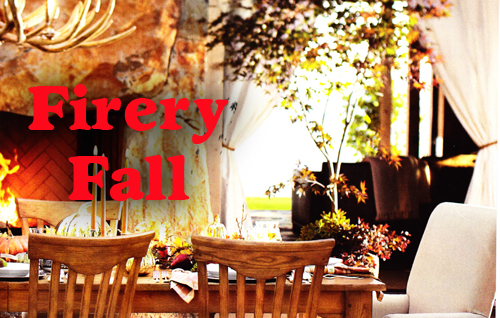 Now is the time to be doing it because the weather is cooler and fall has arrived. Of course you can plant in decorative and imported pottery from Arizona Pottery or you can plant in the garden. Either way you will love the rich colors and textures not to mention outstanding flavors that you can achieve. 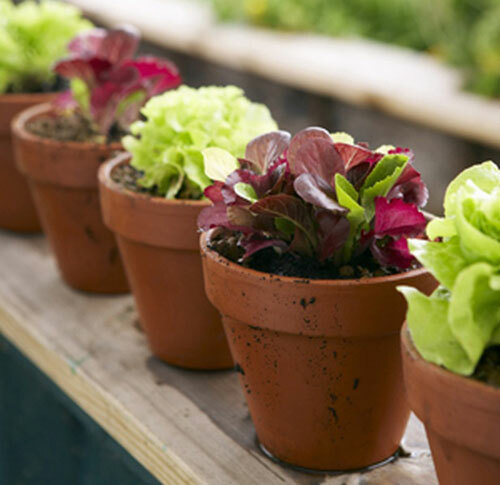 Even if you are just looking for a way to fill a few empty planters sitting on your patio, by potting these lettuces you will fill your planters with rich colors of red, browns, bright greens and more. 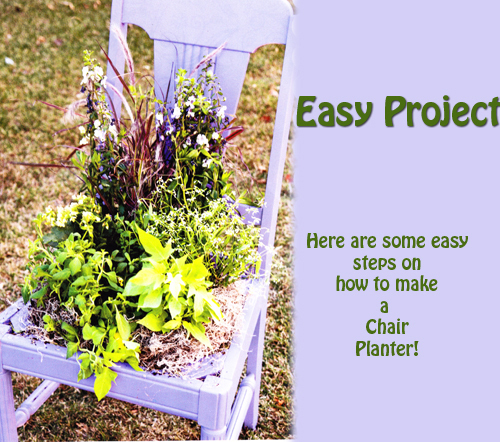 You can even plant them along side the violas or pansies that are so popular right now. 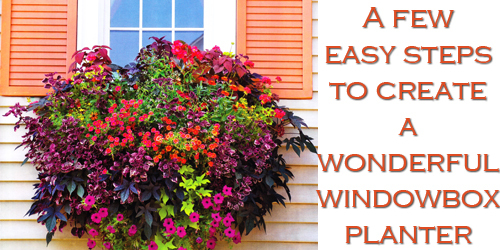 This is a great way to compliment the flowers already growing. Most people love the idea of growing their own garden greens. It sure makes it easy to know where your food is coming from!!!! Next, select the garden planter or pottery bowl that you are going to pot into. 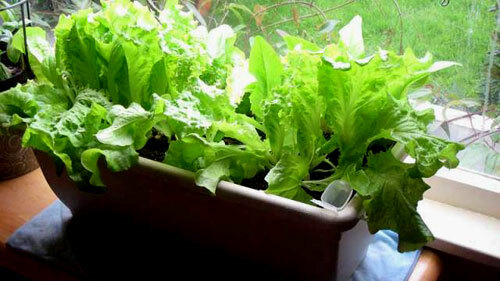 If you want to grow the lettuce in large garden planters sitting on your deck or patio that is fine. 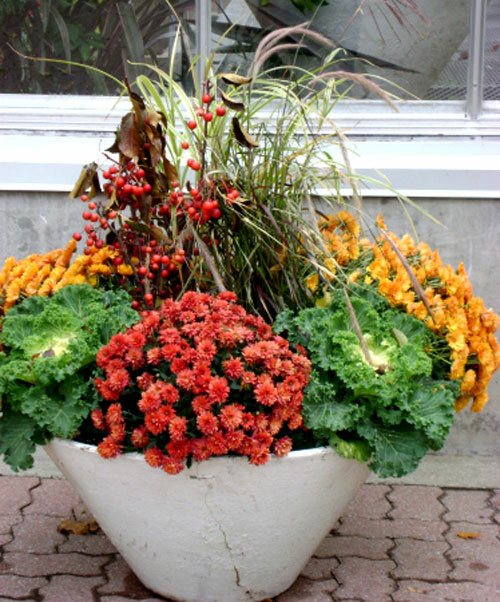 If you want to add a touch of pizazz to your garden area, then select a 12" or larger planter bowl that is decorating and compliments your decor. Make sure you have a saucer if it will sit on a table. 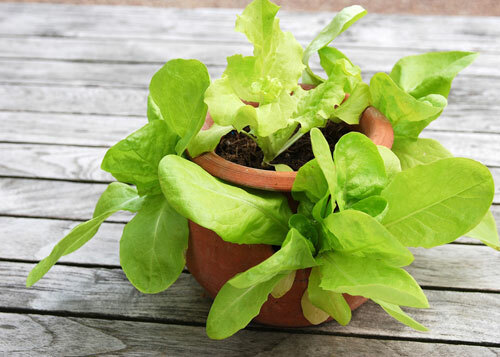 Lettuce likes loose, well draining potting soil not garden soil. Make sure you water regularly and geed with fertilizer when needed. 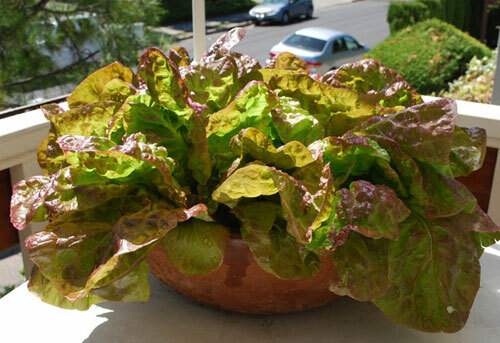 Lettuce can take light frost but not heavy frost. 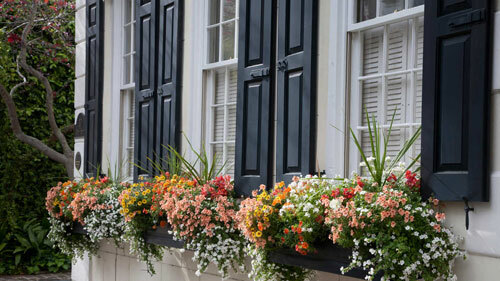 During super cold weather, cover with garden fabric or move the planters into the garage for protections. The best way to harvest lettuce is to pick only the outer leaves near the bottom so the plant can keep growing. 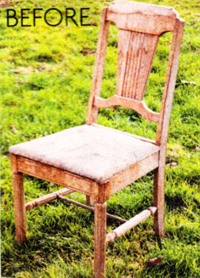 Read more.....Focal points in your garden. 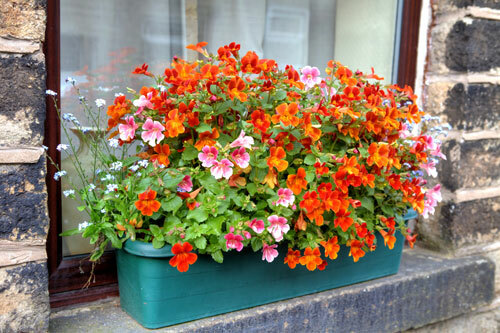 Read more.....How to clean plant pots. 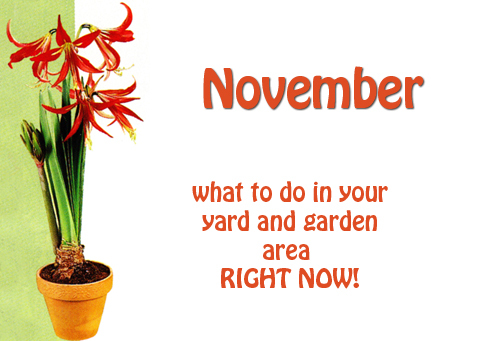 November In Your Yard & Garden. 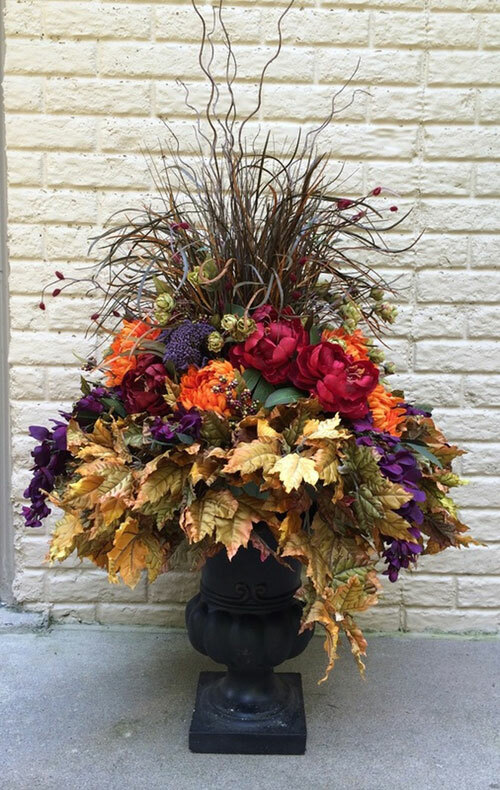 Now that we are into the heart of November, we thought we would make a few suggestions of items that you can and should be doing in your yard, garden and home decorating ideas. 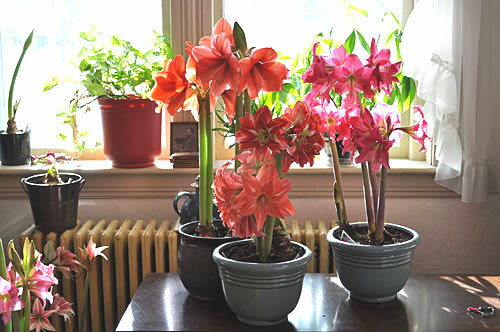 In preparation for the holidays, plant standard and miniature amaryllis at mid month in to decorative small planters that are colorful and decorative. These make wonderful holiday gifts and are easy to do. Since they are mild climate bulbs they don't need re-chilling like tulips. Position the bulb in a garden pot so the widest part is even with the soil in and the top half is exposed. 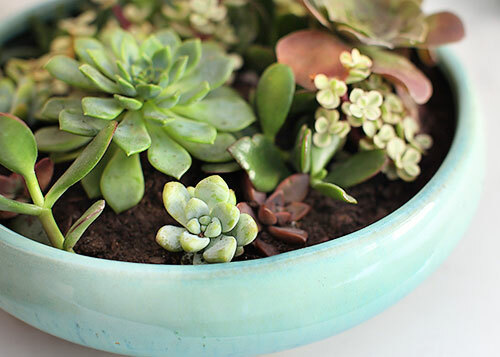 Place the planter piece of pottery in a sunny window, keep the soil moist but not wet and fertilize every 2 to 4 weeks. Flowers appear 4 to 6 weeks after planting. What a super gift idea. 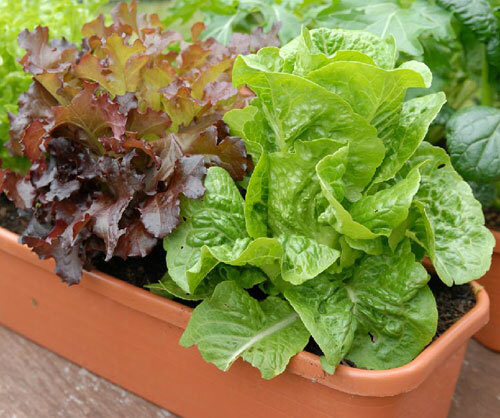 For colorful, tasty greens all winter, sow lettuce seeds in garden pots right now. If you are a fan of radish now is a good time to plant also. Try Tennis Ball, Yugoslavian red butter head, varieties of seeds. Go on-line to find a supplier and have them sent directly to your home. Use terracotta clay or ceramic pots and find those right here at ArizonaPottery.com You can also sow seeds of beets, carrots, beans, kale, spinach and turnips. All are easy to grow and fun to try in pottery. 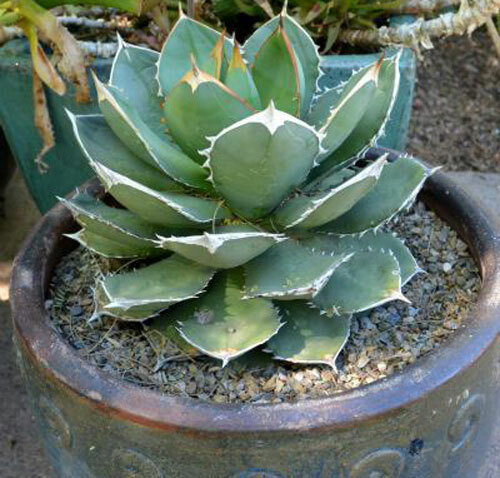 Go out into the yard or garden and divide your agave potted cacti. By repotting the replants you can get quite a number of re-growth for filling in your winter garden planters. After digging them up, let damaged roots scab over in the sake for 3 days before replanting them into pots. This is easy to do and an easy way to get lots of plant materials out of plants you already have. Fun. Propagate your succulents now also. 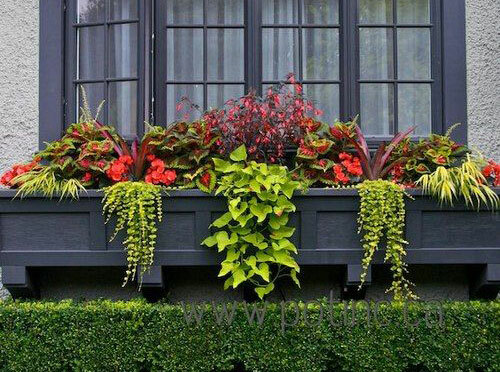 When they outgrown their decorative pots or creep beyond the alotted space, you can prune them and use the cuttings to start new plants. 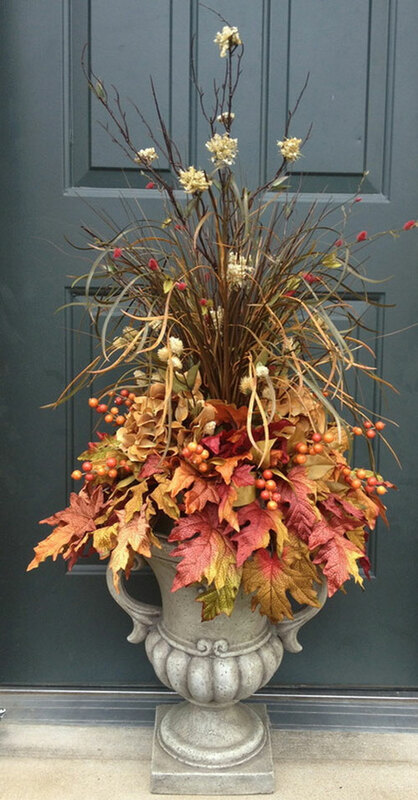 Young plants make great hostess and holiday gifts also. Shape a rosette from the mother plant, leaving a couple of inches of stem attached. Set the cutting aside in a dry place out of direct sun and until the cut end seals. Plant the healed rosette in loose, well draining potting soil in a wonderful and decorative garden planter. water regularly, letting the soil dry out between watering's. Wrap a ribbon around the pot and give as the "gift that keeps on giving". Love it.